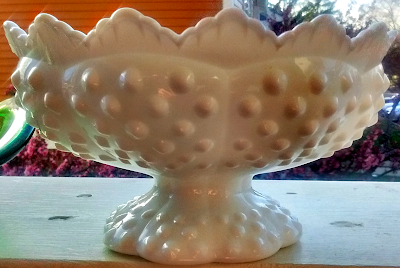 This is a vintage Fenton hobnail white milk glass candle holder in impeccable pre owned condition. It has 6 slots for tapers candles. No chips, and no scratches.